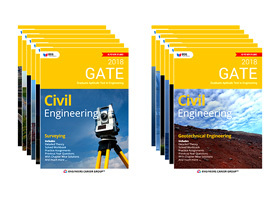 GATE exam is one of the toughest exams and is one of the most important exams in an engineer's life. GATE exam needs your focus along with good coaching in order to get good score. 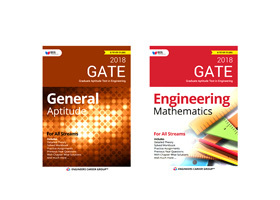 In Chandigarh Engineers Career Group is the best Gate Coaching Institute that is providing quality education with a lot of other amenities that helps to study and focus more on the things that can give you an edge over others. 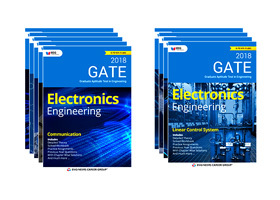 Engineers career group as the best gate coaching in Chandigarh has faculties from IIT's and they have guest faculties who themselves have cleared GATE & ESE exams so which gives every student to interact with the people who are leading in the industry. As a coaching institute, we believe that we should educate to elevate the living standards along with the mental level to set a benchmark for everyone and which is why they have maintained their image since last 9 years and are still in continuation. We have the best facilities like Online Assitance to all the students, Special dedicated mobile app access to all the students, Self Built based on last 10 years exam - Study Material, Guest lectures by Special faculties, Online Test Series and scholarships to help the people who want to study but their financial status doesn't support. We have got many awards as well as the best gate coaching institute and coaching centre in Chandigarh by many well-known websites like knowyourtutor, studydekho, chandigarhmetro, etc. Studying from Engineers Career Group was one of the key decisions to my success I made few years back. The kind of coaching and guidance they gave is worth Millions. 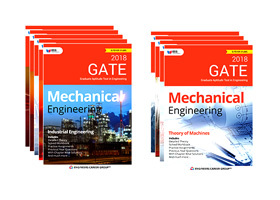 Mechanical being core branch of Engineering has a lot to study and was always challenging. But when I came to Engineers Career Group I realized that how I can focus my studies properly and score good in this core subject. I was happy that I studied from some of the best teachers in this core domain. 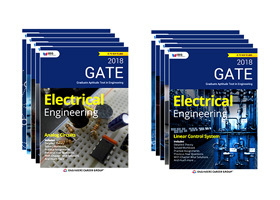 I was worried about my job and further career when I first heard of GATE exam and then my friends told me about Engineers Career Group where I actually learnt Engineering and its subjects in detail which helped me to be at where I am. The kind of teachers and study material I got there was very useful to me In order to cut the waste out of my study routine. My rank in GATE exam was something I was never expecting but I kept on preparing with the support of teachers and management at Engineers Career Group and the reality checks they gave at time to time helped me a lot to be on ground and work on my flaws in a better way . I thank all of them today who made this possible. I was average student and also focusing on GATE exam during my B.Tech degree. I never thought to become topper due to lack of confidence and knowledge due to poor basics being an average college student. Then I have decided to join coaching to clear my basic concepts but it was challenge for me to search an institute where teachers starts from basics to build conceptual knowledge of an average student, After deep search among the different coaching institutes, in last my search was over here once i have came to ENGINEERS CAREER GROUP. It was beautiful journey for me to start from basics to competitive level knowledge and practice. I would like to share my success with my teachers who stood with me every moment to clear my every basic doubt in a unique and new pattern. New Batches Starting Soon! Book Your Seat Today to Avoid Waiting List For Next Batch. It is the initial phase of national test series which helps student to start from basics. Helps students to grow their capability of implementing basic concepts to solve questions. It also helps student to improve consistency and accuracy in their studies. It helps students to learn time-management in online exam. We have permanent and Qualified GATE & IES faculties to teach you in the best way as if the teacher is not capable enough to guide you then how can the student be successful. All the study material like books, question papers, online tests, mock interviews etc. that are provided at engineers career group are created and curated by our esteemed teachers with years of hard work and sincerity to provide you a better studying experience. We have our own online test series for our students which is provided to the students for their better results and confidence while the real time exam. We have tried our best to give you the right experience of real exam prior to the real exam. We have our own dedicated Mobile app for all the answers you need to know. Our mobile app has many features like Answer by expert which provides you answers to your questions while you are at any place. Engineers Career Group tends to provide the students with First Class study experience and due to this we have our own web portal dedicated for students where you can study and learn. We are very proud to help our students achieve success in life. In our fleet of success we have many but some are like we have 2 students getting rank in Top 10 of GATE exam , 5 Students in top 25 , 9 students in top 50 and 14 students in top 100. In a place like Chandigarh you will find a lot of Hoax but we assure you that when you come to us you get the assurity to be with an ISO Certified Company who is not a Hoax as others. We have been continuously ranked as Top Most Institute providing quality education for GATE , IES & SSC preparation by top most brands like OurEducation.in , KnowYourTutor.com , r-ce.com , StudyDekho.com & ChandigarhMetro.com . We are one of the most oldest coaching institute in this domain in Tricity. Due to which we had the maximum opportunity to serve the students so far and due to this we have the most improvised version of teaching and assisting students in their studies. We have our own study material under in house publication , regular & weekly test of the students , in house performance tool to judge the performance level of the students , in house library facilities & PG facilities for better performance of the students. 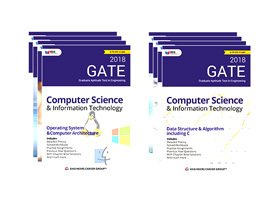 We are not only providing GATE Coaching in Chandigarh and IES Coaching in Chandigarh but we are also providing free career guidance by experts to every student who visits our campus to help them with their good future.